At The Drone Shop, we are passionate about UAV technology and its potential. We believe that an Unmanned Aerial Vehicle will not only allow us to experience the beauty of the earth from top down, but it could potentially enhance productivity and better lives. 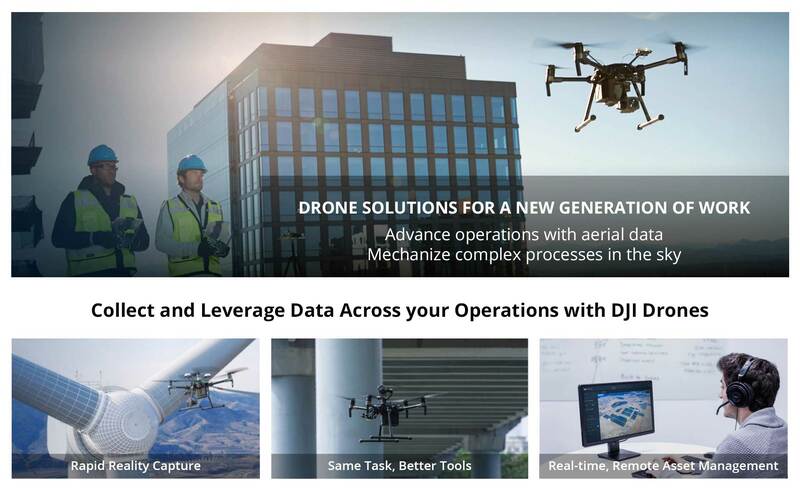 Redefining industries, DJI products are being used by professionals in mapping & surveying, infrastructure inspection, emergency response, construction progress, conservation and much more. Bringing new perspectives and helping them accomplish their work safer, faster, and with greater efficiency than ever before. As such, we are proud to be the Appointed Dealer in Singapore by DJI ENTERPRISE to provide our customers with the best of class products out there, to ensure that our customers can shop with confidence and be assured that every drone, accessory or part that leaves our shop is of a premium quality. For more information on DJI Enterprise products, please do not hesitate to email us at info@thedroneshop.co or contact us at +65 8725 5730.